A teacher’s union recently called for schools across the UK to have lockdown plans for emergencies. Whilst a number of schools are carrying out ad hoc lockdown drills, if a serious incident does arise, a pre-recorded alarm and message is played from a tannoy, with pupils getting under tables, teachers locking classroom doors, lights being turned off and window shutters pulled down – but is this enough? Shouldn’t schools be considering staff safety more holistically? What clear processes are in place to help staff deal with incidents quickly and effectively? How is everyone in the school made aware if a serious incident occurs, including those offsite? How are issues escalated and a response put into action before it’s too late? Furthermore, how does a school prove it followed the correct process? 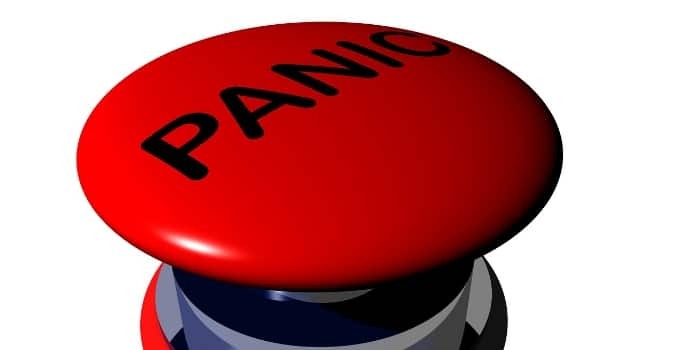 Today’s connective technologies mean that modern panic buttons offer much more functionality than a basic alert; they can automate a range of actions to escalate a response instantly and discreetly. When pressed – often via an app on a user’s smartphone – a panic button not only triggers an alert to notify colleagues of a developing incident, it reports the details of who triggered it and their location. The most effective tools can activate live audio recordings that allow colleagues to listen in and assess what course of action is required, in real time. These recordings are also invaluable for post-incident assessment. Finally, to underpin the approach, panic button technology can capture a real-time log of activity to satisfy audit requirements and demonstrate to staff that their safety is a priority. It costs as little as a daily newspaper to protect its staff. The price of failure is far more expensive. Historically, many schools have been reluctant to invest in such technology due to common misconceptions around cost. However, since these tools are managed in the Cloud, deployment is relatively inexpensive; with the main infrastructure already built, schools are not required to pay full-scale development and implementation costs, they simply need to tailor their escalation processes to suit local requirements and Standard Operating Procedures. Calculations show that it costs as little as a daily newspaper to protect its staff. The price of failure is far more expensive. The application of this kind of innovation is commonplace in other sectors where organisations need to safeguard staff who work alone. For example, social workers and healthcare professionals are finding that the use of such technology provides reassurance on the rare occasions they encounter hostility. Similarly, the devices are supporting manufacturing organisations with lone workers in hazardous remote locations – helping them both protect employees and comply with Health & Safety legislation. That same legislation, with the same severe penalties for non-compliance, applies in schools. It’s worrying that a high number of educational institutions still use the school bell as an alert mechanism. This does nothing to help third parties locate an incident, while the sudden sound of an alarm can send confusion and potential panic amongst the school. Similarly, many schools believe that conventional mobile phones provide an effective solution. This assumes that in the heat of a tense situation, a colleague has the time and opportunity to make an emergency call. But who do they call? And what happens if no-one answers? In either scenario, staff can be horribly exposed. As the Department for Education states, “schools have a legal responsibility to ensure staff and pupils are safe” but from recent reports, whilst schools do have a level of safety plans in place, they don’t appear to be going as in depth as they need to in terms of reviewing their processes and updating their plans. Moreover, they’re not taking advantage of new technology innovation that is available to support them in their ongoing efforts to protect staff and students.